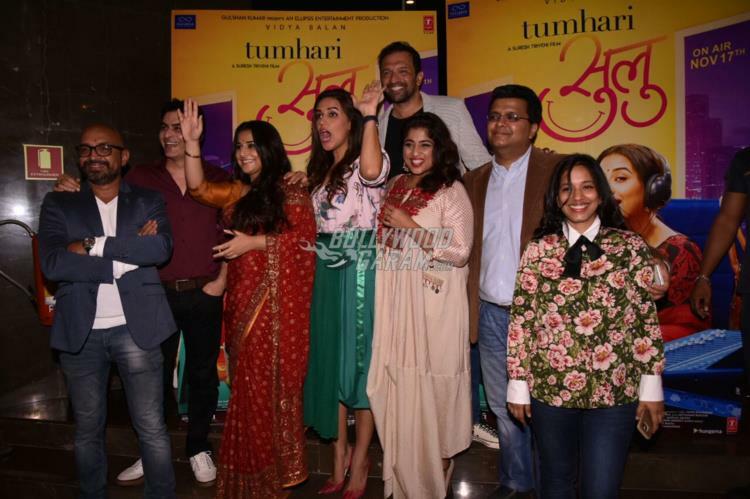 The trailer of the much-awaited film Tumhari Sulu was released on October 14, 2017. 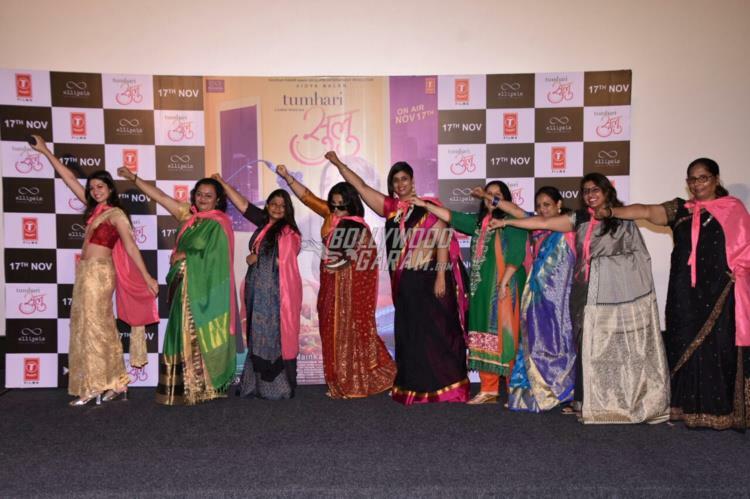 The entire cast of the film were present at the trailer launch event. 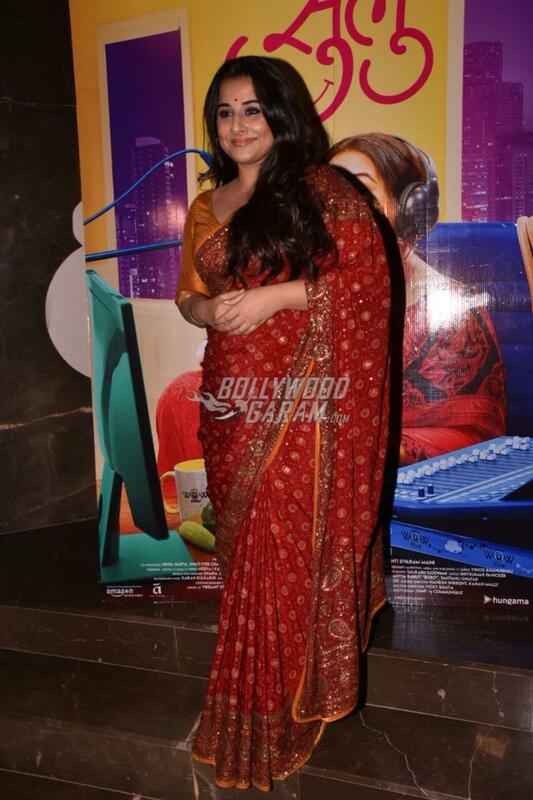 The two and a half minute trailer has shown the lead actress Vidya Balan at her best. The launch event also saw the presence of Manav Kaul, RJ Malishka, Neha Dhupia and Vijay Maurya. 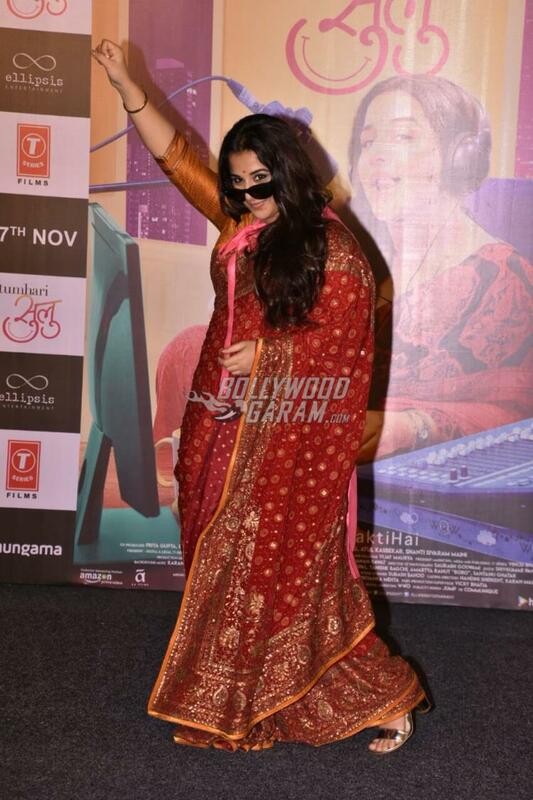 The trailer shows Vidya playing the role of a middle-class married woman Sulochana, who wins a pressure cooker on a radio contest. Sulochana who is also known as Sulu, then wins more such contests and further shows interest in the RJ contest, saying Main Kar Sakti Hai (I can do it!). And then begins the hilarious training sessions of Vidya who is given the responsibility of a night RJ. Sulu continues to progress but loses her grip over her family due to her busy schedule. The story looks interesting and there also seems some dramatic twist to it. 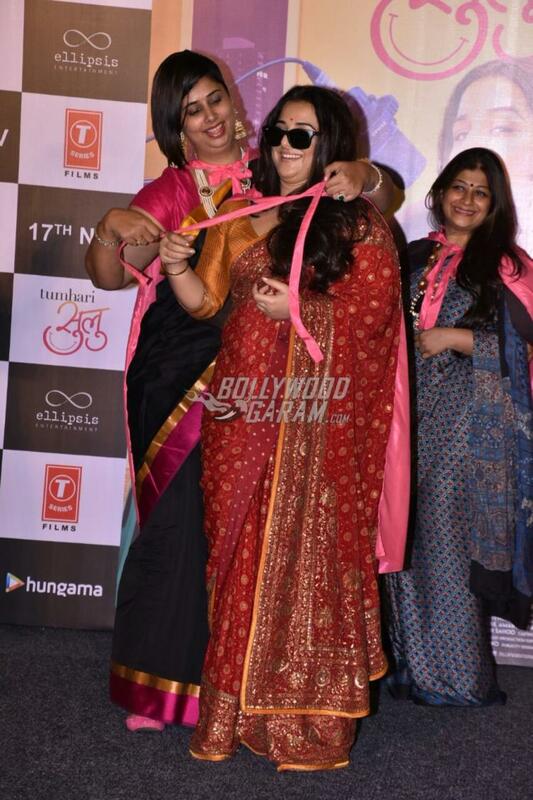 However, like the director Suresh Triveni has assured, it surely is a happy entertainer. The film is ready to be released in theatres on November 17, 2017. 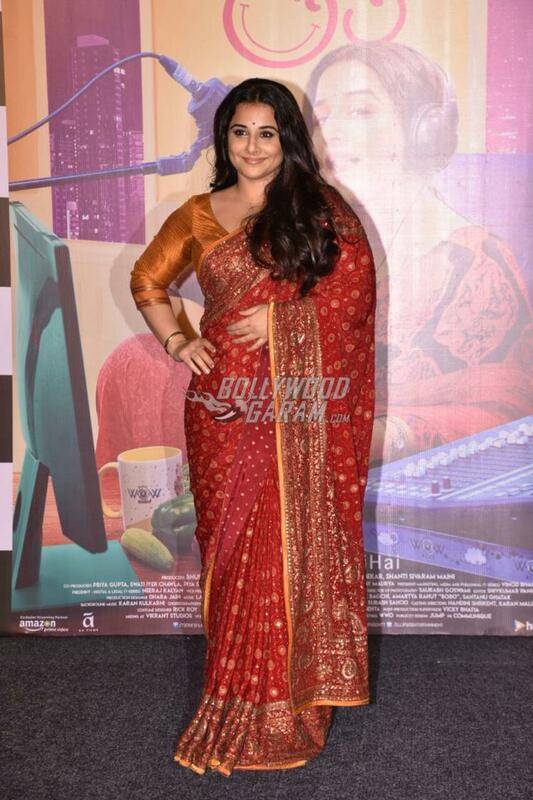 Exclusive photos of Vidya Balan at the trailer launch of Tumhari Sulu!